In our founding year, we were created to provide support for the MU Children's Hospital and pediatric patients of mid-Missouri. Originally called MU Dance Marathon, we worked year-round to provide MU students with the opportunity to live FTK. We built off the momentum of our first year, and continued to spread the FTK spirit around campus. At the time, our official color was blue, and it was starting to make its way all over campus. We transitioned from a fall event to a spring event. Bryce at a 2010 family event. In 2011, we broke $50,000, but our emotional support for our Miracle Kids was only growing stronger. In 2012, we held our first 5K. This successful event brought students and community members together. The Zero Zeroes campaign was launched in 2013 with the goal of having all members raise at least $1. We also rebranded from MU Dance Marathon to Mizzou Dance Marathon in this year. After six years of successful outreach and fundraising we were able to implement a minimum fundraising requirement. An exciting new chapter was approaching as the 2014 Main Event marked the last time we would be branded as Mizzou Dance Marathon. Tommy Veltrop at the 2013 Holiday Party. In an effort to show the full scope of what our organization does, we transitioned Mizzou Dance Marathon to MizzouThon in Spring 2014. This change is believed to reflect the true meaning of our cause, and show our support for year-long efforts for the right to be a kid. We also transitioned our colors from blue to black and gold, the official colors of MU. Using the university colors shows others that campus involvement, spirit, and MU traditions are important to the movement. During this time we also signed our $1 million pledge to the MU Children's Hospital's NICU. In 2016, we officially became the largest student-run philanthropy at Mizzou. We also surpassed 1,000 registered members. Our motto of "every child has the right to be a kid" was a recognizable phrase around campus as the movement continued to grow. We held our very first push day and raised over $24,000 in one day. Our Mini MizzouThon program also raised $17,000. 2018 marked our 10 year anniversary. To honor those who helped lay the foundation of our movement, we launched the “10 years and still…” campaign which highlighted our rich history and progress. 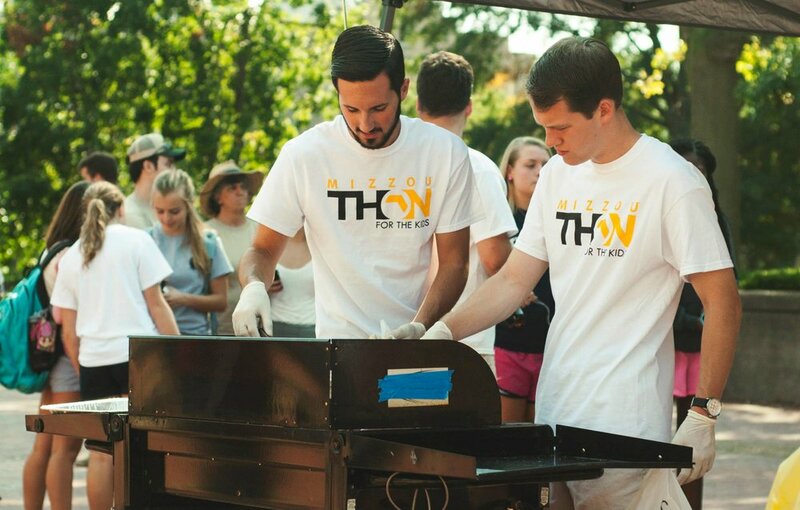 We also completed our $1 million pledge to the MizzouThon NICU an entire year early. Join the movement to ensure every child has the right to be a kid. Together we'll make 2019 the most FTK yet!